What are User Codes and Department ID? | Duplicating Systems Inc.
Summary: This video will be going over the differentiation between User Codes and Department IDs, specifically in regards to Canon and Savin. Printing presets is especially important when setting up User Codes and Dept. IDs, but this is only on a Mac. However, this is not the case of PCs where a driver installation can be used instead. This video also covers when to use presets or the driver menu and whether or not to use it on a Canon or Savin. What are User Codes and Dept. IDs? User Codes and Dept. IDs are useful ways to track print accounting and limit the number of functions a user can do without permission. User Codes and Dept. IDs perform the same job of securing a printer by connecting a user to a print job. A major difference are the companies that use these two terms. 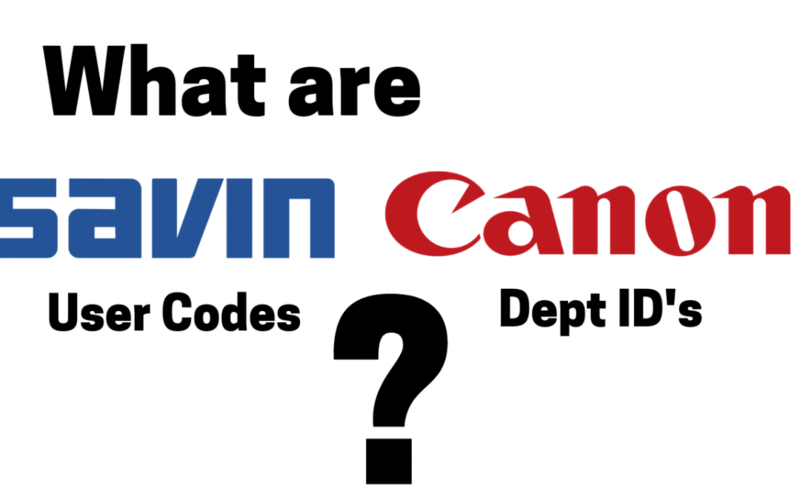 For example, Savin uses the term User Codes while Canon uses the term Dept. IDs. Presets Definition: User-made sets of printing options that can be selected with one click. For Macs only, setting up a User Code or Dept. ID has to be done as a setting in a preset. However, on PCs, User Codes and Dept. IDs can be set up within a driver installation and not necessarily as a setting within a preset. When installing a Savin driver on PC, you can set up your User Code as part of a preset. However, if installing a Canon driver on PC, you must use a separate menu to type in your Dept. ID. If you want more information on creating presets, please refer to the videos below. In each video a User Code or Dept. ID is being made as part of the settings.